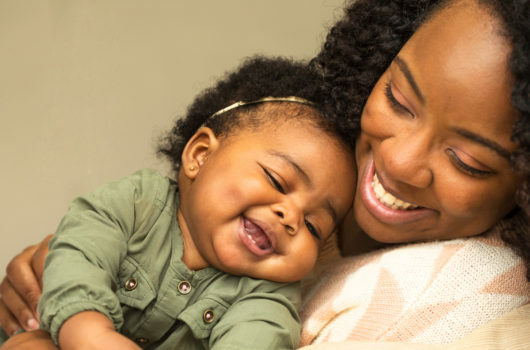 Research suggests that mothers with only one child are happiest. But the pressure to have a second child often feels greater than the pressure to have the first. During a routine checkup at the pediatrician’s office, I got my first real look at how my 4-year-old daughter feels about the subject of siblings. A nurse asked my daughter if she had any brothers or sisters. “No,” she said, shaking her head, a look of slight revulsion and incredulity on her face, as if she didn’t understand why she was being asked. “Well, I do have Rufus and Tallulah,” she said, with a smile like a ray of sunshine. The nurse looked at me expectantly. “They’re our pit bulls,” I explained, and that was that. Later that night, as I was putting my daughter to bed, I asked her flat out: “Do you ever wish you had a brother or sister?” She looked at me directly before she responded, and I braced for the worst. “I wish I had a kitten,” she said. While our decision to have only one child isn’t something I’ve ever been too concerned about, it was good to have confirmation that my daughter feels happy. But even if she wanted human siblings, it wouldn’t sway me. For me, not giving my daughter a sibling was one of the ways I felt I could help protect her from the kind of abuse that I survived. My choice to “deny” my child a sibling was influenced, in huge part, by my traumatic experiences at the hands of my own. I suffered years of sexual abuse from my older brother—and a subsequent lifelong struggle to reconcile and recover. I have always been acutely aware that a sibling may not be a blessing. And when I hear people bemoan the so-called sad plight of the only child, I remember how often I actually longed to be one. The dominant narrative on siblings seems problematically one-sided. We tell ourselves that having multiple siblings is ideal and positive; being an only child means you are incomplete, and often spoiled. By virtue of not having siblings—so the stereotype goes—only children grow into people who feel lonely or depressed, the “onlyness” of their youth producing socially maladjusted adults. Of course, the blame for this lies not with the deprived children, but with their selfish or shortsighted parents who lacked the good sense to give their child a sibling. Serious problems exist with this antiquated line of reasoning. Decades of research show that only children are as well-adjusted as their peers who had brothers or sisters, with only children scoring comparably on character traits like flexibility and generosity. More insidious, though, is the message underlying this line of thinking: Only children are not complete. This assumes, however, that siblings are safe. We don’t talk about it very often, but siblings frequently perpetrate all types of abuse. Some estimates suggest children are more likely to be abused by their siblings than by their parents. And yet, prevailing representations of sibling relationships tend to smooth over the idea that your closest kin could be a danger. Instead, they highlight the sibling bond, which spreads a dangerous romanticism of the sibling relationship: painting sibling conflict as natural, normal, and to be expected. This can actually help conceal abuse in families. I think because my brother, seven years my senior, and I never fought like that, so physically, my parents may have felt relieved and safe. Any arguments we had, my parents chalked up to our differences and our particular sibling dynamic. Similarly, growing up, I always thought my terminal, visceral distaste for my brother was a normal byproduct of having a sibling. It wasn’t until I began rethinking the abuse in college that I realized abuse was the cause of my real feelings toward him: not the fact that he was my brother, but the fact that he had hurt me so profoundly. There are other, lesser reasons why I only wanted one child. I had a traumatic pregnancy and endured two years of debilitating postpartum depression. But society and my family wanted me to brush these experiences aside. The presumption that kids need siblings causes widespread social pressure for parents, especially mothers, to have more than one child—even if they don’t want to. Research suggests that mothers with only one child are happiest. But the pressure to have a second child often feels greater than the pressure to have the first. Thankfully, because I’ve been so open and frank about my own struggles, no one who knows me well would ever hassle or begrudge me for having only my daughter, not anymore. And in the rare instances when acquaintances or strangers have asked if I plan on having another child, I simply say “absolutely not,” and leave it at that. It’s important for me to say here that I’m not suggesting that siblings are bad — or that everyone should only have one child. But the stereotype of the depressed, lonely, socially maladjusted only child is not merely wrong, it’s demonizing—and it’s got to go. We shouldn’t guilt-trip parents into having more kids while ignoring the real, lifelong damages some siblings can have on each other. I don’t need any more reasons to feel confident in my choice to have only one child. I enjoy a close bond with my daughter, and she will never have to worry about my devotion wavering. She’s the only one I have, and more importantly, she’s the only one I want.